As you going to launch your private label product on Amazon, keep in mind that having quality product photos is essential for a successful listing. So being familiar with Amazon photo requirements is highly recommended by industry experts. It is common among the sellers to outsource Amazon product photography to the professionals for the best results so, you can also consider outsourcing this task. Today, I’ll take you through the best practices for Amazon product photos to make your listing successful. Product image must be the cover art or a professional photograph. Drawings or illustrations of the product are not allowed. Keep the Backgrounds white for the main product variant. Product should cover 85% or more area of the total image size. Graphics, Additional text or other images in the main images are not allowed. Moreover, an actual photo of the main product and variants should be added, not the illustrations or graphical representations. Especially, if the product is available in different color variations, take the actual photos of the variants. For example, if you are selling black earphones and then digitally change the color of the photo to silver, that’s not the actual photo of the silver earphone. This is the clear violation of Amazon’s terms and you don’t want to do that. Main photo of your product is all about the first impression of both your product and brand, that’s why high quality Amazon product photography is very important. 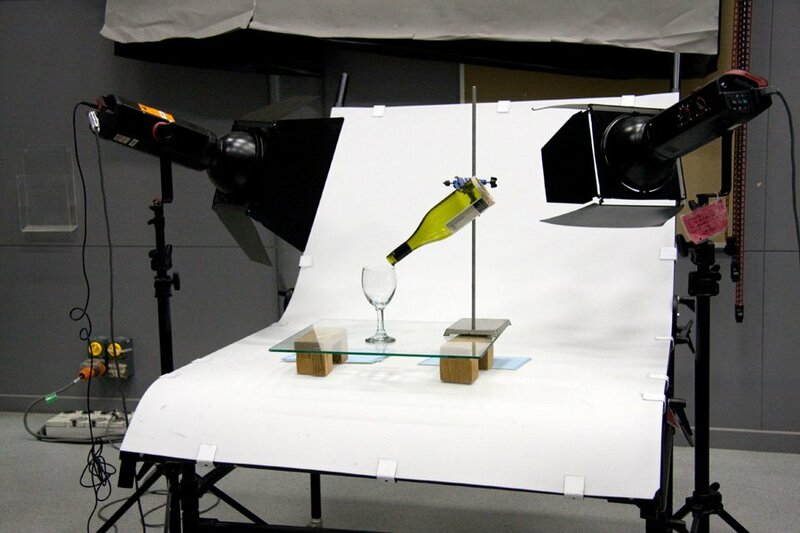 It is also important for conversion because after shortlisting few products, customer carefully examine all the photos. 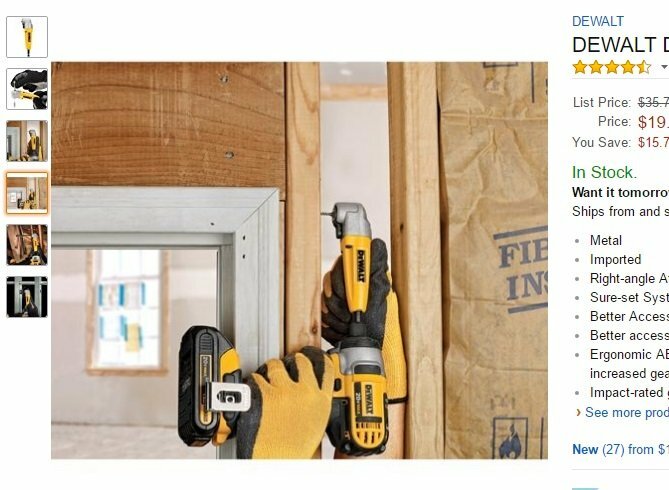 Quality of Amazon product photography should immediately highlight all visible product features to help them make a buying decision. In order to focus the product on the listing, you must use white background for the main product photos. For a good user experience, it is recommended to use 1000 pixel either in width or length of the image so user can zoom it with mouse roll-over. You can also use 1500 pixels as it is maximum allowed by Amazon. For the main image try to get the product in the frame as large as possible. This will also enhance the product visibility in search results. You can add as many as 9 product photos to the listing and there’s no minimum limit by the Amazon. 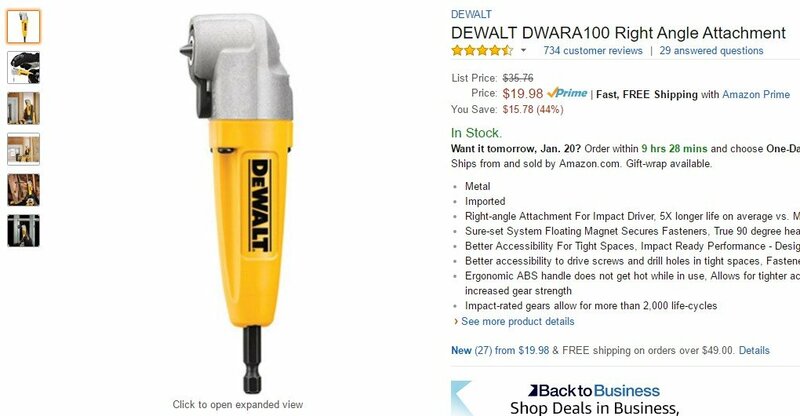 Now we’ll take an example of right angle attachment for a handheld drilling machine. They have added in-action shots of the product to demonstrate the functionality. This way you can tell more about the product and easily convince user for the purchase decision. There’s a nice and clear main image of the product. Below you can see in-action photo of the product to show its functionality. Such shot not only helpful to demonstrate the functionality but also convince the potential customers for purchase by clearing any doubts they may have. Adding maximum allowed and high quality photos will engage the user for longer time and there are higher chances of converting them into sales. So, you can boost your listings by adding high quality images and drive more sales. Don’t just add random and poor quality photos and let the competitors take your business with this simple trick. Save Time: Photo enhancements can be a time taking task specially if the photo taken is not of a good quality and you are not much skilled in retouching process. Lack of Experience: Focusing on the other areas of the business such as marketing, sales and sourcing is a way better idea than wasting time in DIY product photography, especially when you lack the expertise and don’t have much experience. Unable to Use Software: After taking a photo with camera, there’s lot more to do on high-tech software for the photo retouching and improvements. Its hard to learn and master those software in a short time while you’re busy in promoting your business. Lacking Professional Facility: Apart from all of the above inconveniences in the process of Amazon product photography, only a quality photography studio and expert photographer will provide you with photos that you might not have been able to produce yourself. Adding best quality photos is not only vital of Amazon listing optimization but also for conversion rate, after all a photo is worth a thousand words!